Marblehead Bank announced it will be opening a new loan office. The office will be inside the Lakeside Historic Inn within the gates of the Lakeside Association, and will share a unit in the inn with Lorenzo’s Culinary School. The branch will stay open until October 10, and will have hours every Friday from 10am until 5pm. They will also be open on Saturdays from 10am to 2pm. The president of the bank William Tuttamore, and the bank’s senior lender Peter Schwager will be on hand during those hours to speak with customers. It is also possible to make appointments to meet at alternative hours. The branch at the Lakeside location is not a full-service banking facility and will only be able to process loans. No cash will be available at the location. The bank does have two full-service branches within only 5 miles of Lakeside. 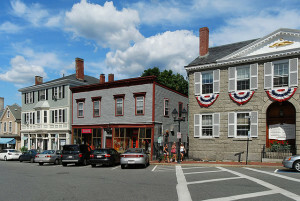 Both sites have 24-hour ATMs, and are located at 709 W. Main Street in Marblehead and is the main branch; and the other is at Danbury Township on SR 269. There is one other, limited-service office at the Otterbein facility. Marblehead bank was established in 1907 and is a safe community bank and a member of the FDIC and an Equal Housing lender.